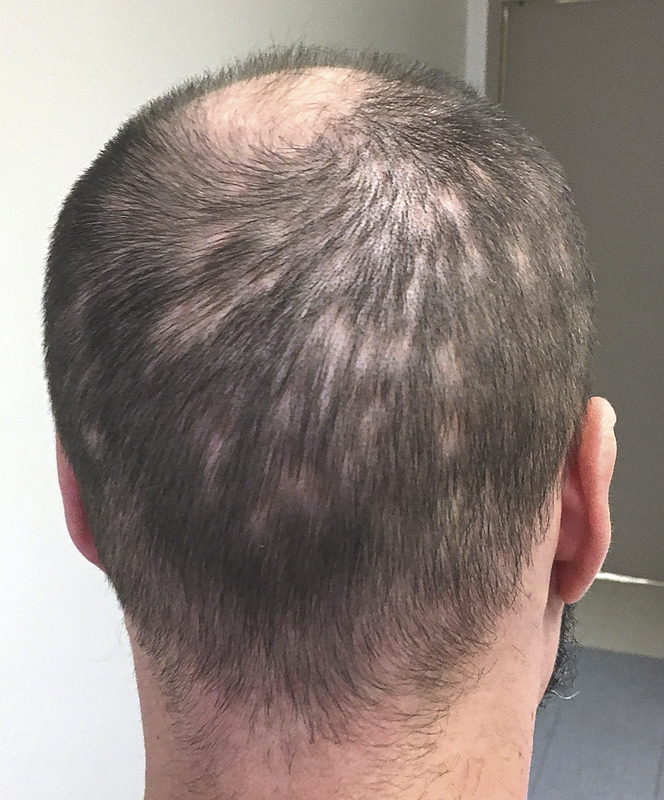 Dr Ata S. Moshiri, at Hospital of the University of Pennsylvania, Philadelphia, PA and colleagues have reported a case of secondary syphilis presenting as alopecia, that has appeared in NEJM. Syphilitic alopecia (SA) is an uncommon manifestation of secondary syphilis which can present in a diffuse form, resembling telogen effluvium, or in a moth-eaten form. 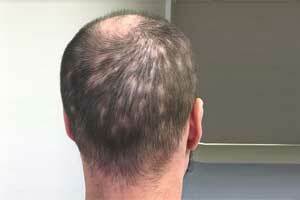 Syphilitic alopecia (SA) is traditionally considered infrequent, with a prevalence ranging from 2.9 to 22.2%. SA may clinically mimic a wide range of hair disorders, including alopecia areata (AA), trichotillomania, lichen planus pilaris, tinea capitis, telogen effluvium, and androgenetic alopecia. As history goes, a 35-year-old man with a history of bipolar disorder presented to the emergency psychiatry service with paranoid delusions. His physical examination revealed patchy, irregular alopecia of the scalp and faint, erythematous macules with subtle scales on the trunk and the arms and legs. He had no rash on the palms or soles. His mood disturbance was consistent with previous psychiatric presentations and his neurologic examination was normal. His laboratory tests revealed a rapid plasma reagin titer of 1:128, and the result of a confirmatory test for antibodies to Treponema pallidum was positive. A test for antibodies to the human immunodeficiency virus was negative. The patient was given an intramuscular injection of penicillin G benzathine, and within days the rash resolved. His mood stabilized with treatment for bipolar disorder that included antipsychotic medications, and he was discharged home. He was subsequently lost to follow-up. A nonscarring alopecia with a “moth-eaten” appearance is characteristic of secondary syphilis. Although syphilitic alopecia is uncommon, it may be the only manifestation of secondary syphilis observed on patient presentation. Hair typically regrows after antibiotic treatment. Physicians should consider the possibility of secondary syphilis with SA in the absence of clear primary syphilis manifestations, a condition that is increasing nowadays, likely due to improper concomitant antibiotic treatments. Dermoscopy represents a useful, noninvasive, rapid, and inexpensive tool that helps the physician to suspect SA.